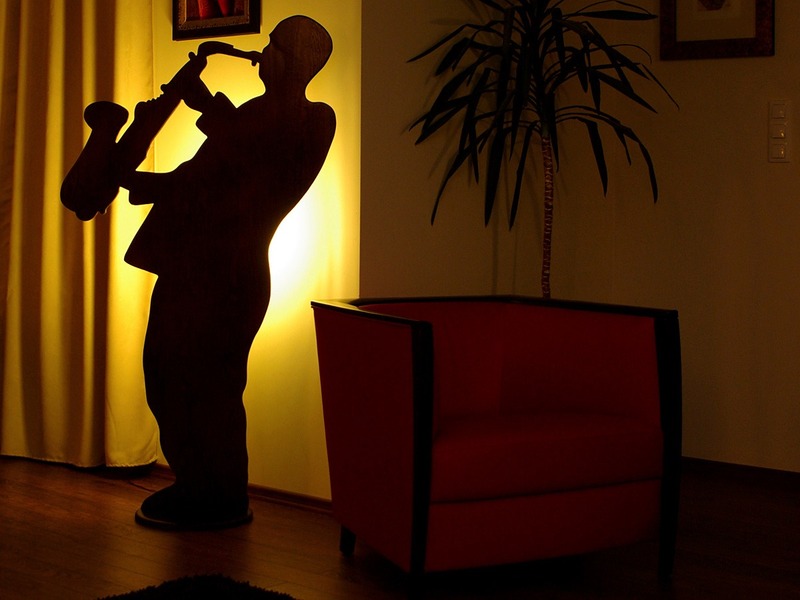 To enhance you interior, we also have romantic lamps with a musician’s figure on offer. They additionally perform acoustic functions: they partly eliminate reverberation in empty and glazed rooms. Illumination that is placed at the back is directed to the wall, owing to which the figure is illuminated in a characteristic manner. The figures come in many colours and patterns, and are made from full wood panels: pine or beech.